The ELI Code program has been running for several months now in Roches Bois. Michael and I are there every Saturday, imparting our programming knowledge and skills to young kids. The ride is not always a smooth one but it’s definitely a fun one. I remember the first classes when most of the students didn’t even know how to use a keyboard or a mouse. That’s now a thing of the past. I am always amazed by the curiosity shown by the kids when they’re in front of the computer. At the beginning, they were reluctant to touch and try things but over the weeks, they have acquired confidence and now are not afraid anymore to get into new folders and to open unknown files. A few times their curiosity could have resulted in crashing the whole operating system but well, that’s how we learn! 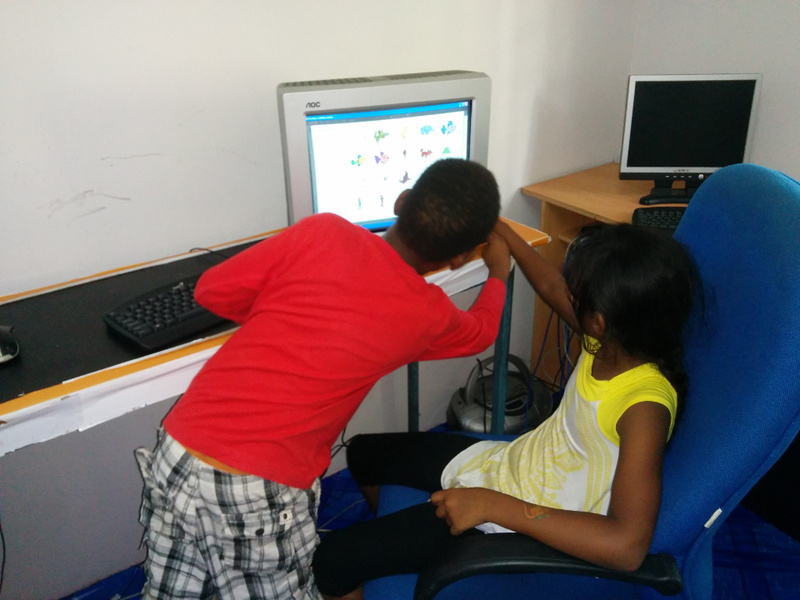 A few weeks ago we introduced them to some basic HTML. Below are the works of some of them. Simple HTML pages with their pictures and a description of themselves and what they like and dislike. Kudos to our future web designers! Credit to our very own Michael Chavrimootoo. Previous StoryOne Endemic Plant Per Family Next StoryCoral Farming-A Success!